The Muslim population of England and Wales almost doubled over a 10-year period, a new study reveals. The report for the Muslim Council of Britain starkly highlights the community’s economic disadvantage. Analysis of 2011 census data shows that the Muslim population grew from 1.5 million in 2001 to 2.7 million by 2011, demonstrating a 75 percent increase. 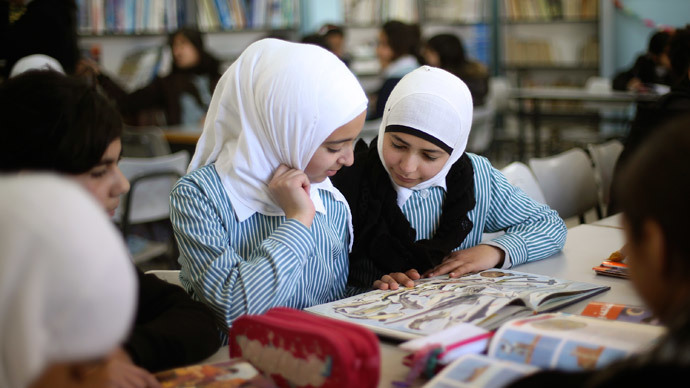 The research shows one in 12 school-age children is now Muslim, and a third of all Muslims are aged 15 and under, with half under the age of 25. The study was prepared for the Muslim Council of Britain by a team of researchers, led by Sundas Ali, of the University of Oxford. The “British Muslims in Numbers” report indicates that more than half were born outside Britain, but 73 percent regard themselves as British. The report stated: “There is need for various stakeholders – Muslim civil society, policy institutes, employers, trade unions and the Department for Work and Pensions – to facilitate conditions and opportunities in the labor market. The report also showed almost half the Muslim population live in the 10 percent most economically deprived areas – an increase since 2001, when the figure was one in three Muslims. Deputy Prime Minister Nick Clegg said on Thursday that the report highlights the challenges and opportunities facing British Muslims. “Taking data from the 2011 census, this important new report from the Muslim Council of Britain helps give us a snapshot of the socio-economic challenges and opportunities now facing Britain's Muslim communities,” Clegg said.